Participating today with Lisa-Jo for another fabulous Five Minute Friday! 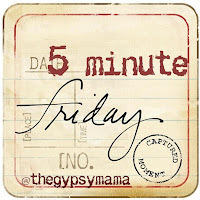 Five Minute Friday is where we write on a given topic for 5 minutes only. It's so freeing, so fun! I love how I never know what might come out, and how each post linked up is so different. Give it a try! The prompt for today is "Every Day." Here goes! Every day something small can happen and something colossal can happen. New lives begin and lives end. Breakthroughs occur, breakdowns occur and breakfasts, too. Every day we make plans of what might happen, giving ourselves the illusion of control and organization, but we never really know what will happen, because only God knows that. Every day we cry and we laugh and we worry and we hope and we pray and we try our best to do what we think is right, believing in ourselves as best we know how. Every day we learn something new—a fact, a discovery, acquired wisdom, new insight. Every day is a chance to grow a bit more—to love more, to be more patient, more giving, more kind. Every day we are forgiven of our failings through His endless mercy and grace and are given another chance to fulfill our unique purpose here. Each day preordained, precious hairs counted. Every day we are being stretched and broken and repaired, wounded hearts healing and fresh hearts being broken. Every day we are loved, loved perfectly as we are. I am grateful for how your remind me that this day, every day, is in His hands, that He sees each movement I make, that He brings healing to my mistakes, lifting me up, offering love and hope. Thank you for a beautiful start to my day. I will carry these words with me. 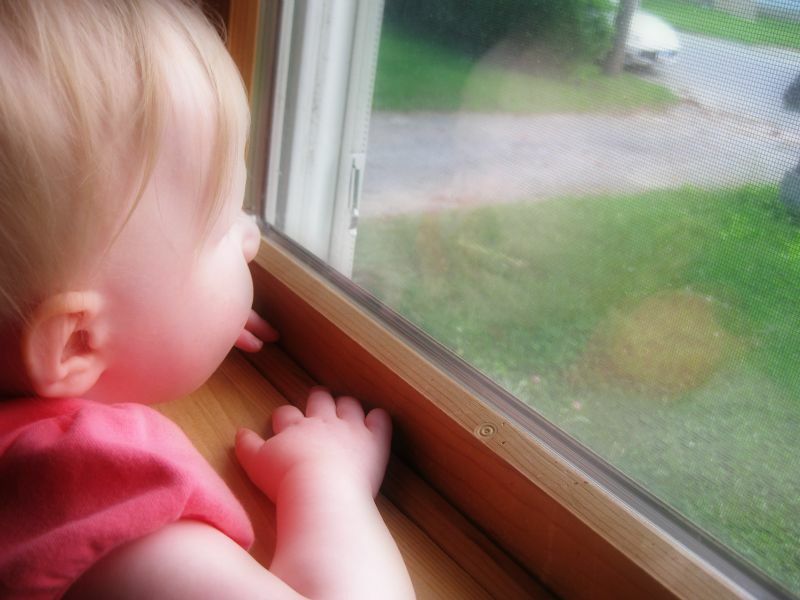 And I love your little one at the window! So cute!! You are very articulate for five minutes! My mind is mostly mush these days. Just coming to visit from Lisa Jo's... this post is stunning. You are so talented, and thank you for the reminder! I'm so glad to have offered some encouragement today! Too often I forget to keep my focus on God--especially on those hectic busy days where nothing seems to go right. But sometimes on those days I'm able to take a step back and remind myself that the Lord has a plan and is carrying me along. Thank you! Your kind words really mean so much to me. "Breakthroughs occur, breakdowns occur and breakfasts, too." What a beautiful way to describe how the wonderful, crazy, and mundane dance together in this crazy thing called life! Thank you for these words!